Well, if I'm being honest, I don't just want to see it. I want to eat it. In every region of this country, there are gastronomic to do lists for visits. In Charleston, it's pimento cheese and shrimp and grits. In New York City, pizza. In Austin, I was tacos and I want them now. In Boston, the to do list is tacked with seafood. And while I love clam chowder and oysters are great, the lobster roll has climbed to the top of my list in the last couple of years. Once owned by Maine, Boston is starting to establish its lobster roll cred. And since I visit Boston a lot more than I do Maine, that works for me just fine. I've been to Boston plenty of times, but disappointingly, I'm always there for a constrained amount of time and with a specific purpose - never just to relax and be a tourist. I've been to two games at Fenway, though that would never be my choice of what to do in this cool, historic city. Last weekend was no exception to the time limit - it was a one night only deal - but at least I got to choose the restaurant. We were spending the night in the Back Bay area, which is the same neighborhood where Sonsie, home of bone marrow baked oysters, exists. 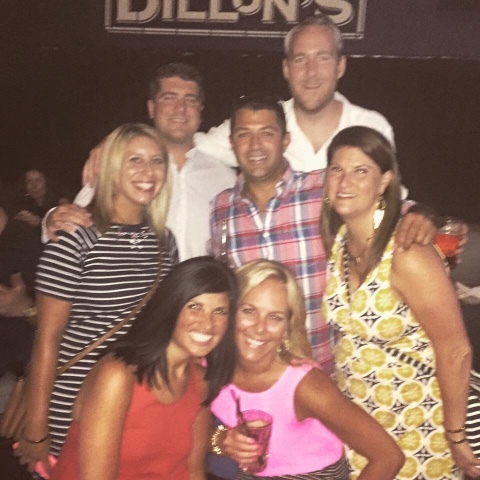 This time, we kept to Boylston St, had some delicious raspberry lime rickeys at Dillon's, then scooted down the way to the Atlantic Fish Co. for dinner. The good news is that Atlantic Fish Co. has a clubby, elegantly masculine feel and romantic, dim lighting. The bad news, at least for you, is that low lighting equals terrible food pictures for my Big Hungries. I do apologize. But you've got the white tablecloths here and an upscale level of service - our waiter knew what the chef wanted pushed that evening, and while his knowledge of the food was extensive, his attentiveness and willingness to please was just as replete. 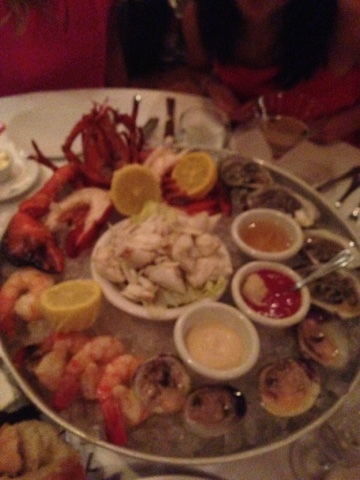 You would be wise to spring for the raw bar seafood platter for your table. It isn't cheap, but the pile of lump crab meat and the entire steamed lobster, served cold and halved, will assure you of its worth in due course. That crabmeat, each morsel dipped in a bit of mustard cream sauce, was firm, sweet and just barely briney. 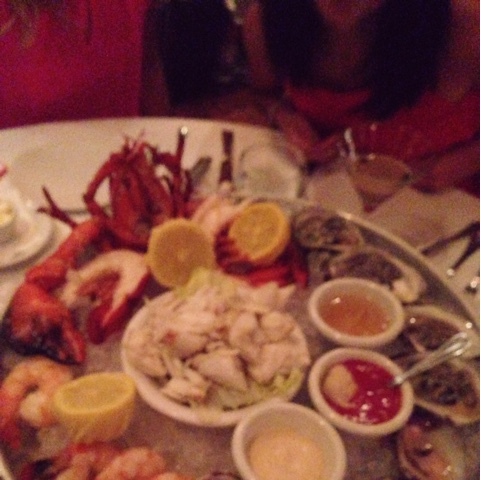 Absolute shellfish heaven. The shrimp were big and plump, pristinely fresh, and nearly equally delicious in the mustard sauce, but also delightful in the freshly prepared, spicy cocktail sauce. The oysters were succulent and briney as well, but the mignonette sauce was so powerfully astringent it was overpowering for my palate. The tiny raw clams were sweet and slippery - terrific little shooters with a squeeze of lemon. 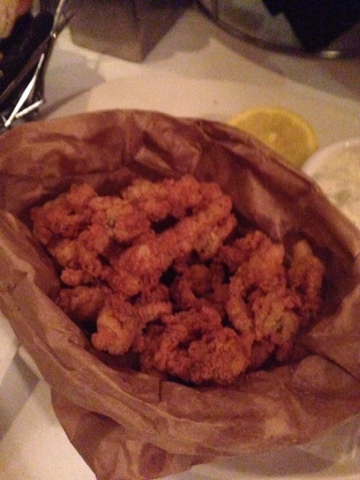 You'll also need to get the fried Ipswich clams. They kind of have it over those raw littlenecks up there. The frying process, in a corneal coating, intensified the sugary flavor of the gorgeous, local bivalves such that no dipper was needed. You didn't want anything to mask the bursting oceanic flavor of these golden creatures. Lobster crab Louie was recommended by our server. Clever fellow. 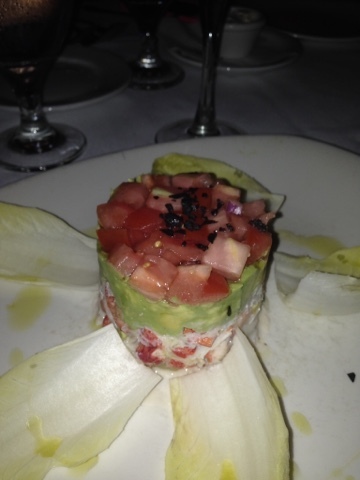 There was no way not to love this cylinder of lightly dressed lobster, avocado, tomato and crunchy endive. I wish someone would make me this dish for lunch once a week. Yeah, I ordered clam chowder. I had to, you guys! It was yummy, very creamy, good celery and smoky pork flavor, but not super packed with clam or clam flavor. Stick with the fried bellies for your clam fix. This didn't drive me wild. And then it was lobster roll time. Gosh, I wish it was always lobster roll time. I loved that I could order this seafood shack, casual classic in a more upscale setting. The lobster in it was plentiful and lush, lightly dressed in mayo on a toasted, buttered roll with crunchy chunks of celery in the mix. But there was something lacking here. It was hard to put my finger on, but I think the answer was salt. Sometimes citrus can replace salt in a dish, but a squeeze of lemon didn't remedy the slight lack of flavor in this roll. 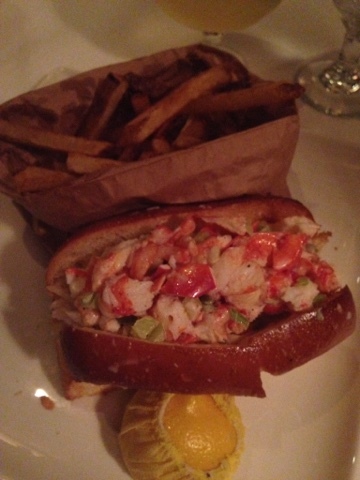 I liked it, but it was not the best lobster roll I've ever had. That said, it did fulfill the craving. And the fries were hand-cut, which you know is my thing. As so often happens lately, the appetizers were my favorite part of the meal at Atlantic Fish Co. He flavors in our appetizers were varied and assertive - more so than the chowder or entree. Maybe it's that my palate is more ready for good food at the start of the meal? I hope that's not it. I think it's just that good things come in small packages, and there's more creativity and effort being put into starter menus, while entree selections are often required to cover very de rigeur items that the chef is perhaps less excited to prepare. I give Atalantic Fish a seven on the BHS scale. I would definitely go backand try some crab spring rolls, tuna tartare, and more of those fried Ipswich bellies! They were seriously epic. I'm judging the Broome County Legislature's Annual Ag Day kid's cook off again tomorrow! I'm not cited to see the kids who come out this year to cook tomato dishes for me and my fellow judged Paul and Kristen - I'll be back next week with the recap and a favorite tomato recipe of mine! My personality is big; my hunger is bigger! Those fried clams look great and they're not even my thing. I love the lobster shooter, lobster roll, and fresh seafood platter too.